Any woman who has ever experienced a urinary tract infection (UTI) knows once is more than enough. With symptoms that include a frequent urge to urinate and a burning sensation upon urination, UTIs are unpleasant, inconvenient, and often painful. And if you’re a woman who is plagued by these infections several times a year, it can be frustrating as the telltale signs come up every few months. But help might be considerably closer than you realize. In fact, new research suggests you have a possible answer right in your own kitchen. The study, which was conducted at the University of Miami in Florida, found that women who consume greater quantities of water every day have a much lower risk of developing recurrent UTIs.1 These results were based on an investigation that included 140 European women. All the subjects were premenopausal and had experienced repeated bouts of UTIs with a minimum of three infections in the previous year. When the trial began, the participants reported their total daily intake of water, and their average was less than six eight-ounce glasses each day. The volunteers were randomly divided into two groups and monitored for one year. The first group was instructed to more than double their current intake of water, bringing their total consumption up to 12 eight-ounce glasses daily. The second group was told not to change their water drinking habits. There was a measurable difference between the two groups by the time the study period ended. The average number of UTIs diagnosed among those who were drinking the same amount of water was 3.2, while those in the group drinking roughly twice the amount of water dropped to an average of 1.7 UTIs. Equally significant, those drinking more water had a marked reduction in antibiotic use during the year they were tracked. That’s not surprising since when you visit a physician to confirm a UTI, they will generally prescribe an antibiotic to resolve the infection. But as we all know, antibiotic overuse is rampant, contributing to the creation of superbugs that are nearly impossible to treat. And on an individual level, antibiotics can wreak havoc on your system, disrupting your gut microbiome and causing nausea, vomiting, and diarrhea. The research did have some flaws, including the small size of the population sample. It also did not really define what an ideal intake of water should be on a daily basis, to determine the threshold at which it benefits the urinary tract without overdoing water consumption. Nor did the study address whether greater water consumption would be helpful to women who get UTIs less frequently. That being said, water is one of the healthiest beverages we can choose, and we should all strive to maintain an adequate intake every day. Drinking between 64 and 96 ounces of water daily, despite what doctors have said in the past, is a healthy goal for most people. Effectively, the findings confirm the old wives’ tales about drinking more water to prevent UTIs with some solid evidence. Now, as to the other version of this tale that recommends drinking cranberry juice for UTI avoidance, that depends. Obviously, drinking the highly “sugarized” version sold in most grocery stores isn’t going to do the trick. But when it comes to the real, unsweetened stuff sold in health food stores, there’s science to back it up. If you are looking for ways to deal with recurrent UTIs, water is not the only natural solution. 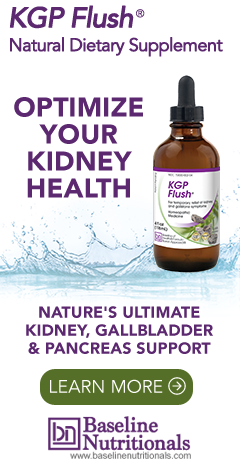 There are a number of herbs that benefit kidney and urinary tract health. Dandelion root, chanca piedra, and juniper berry are among the herbs that can help maintain proper function. And D-mannose can help flush UTI’s right out of your body. Of course, regular kidney detoxes are important to flush the urinary tract of toxins that can result in inflammation and infection. Back to water consumption, one more key point to remember is that when you increase your intake of water, it needs to be pure water so you’re not ingesting even greater amounts of toxins. Invest in a good water filtration system, water distiller, or RO system for your home to remove harmful chemicals such as fluoride and pharmaceutical drugs to not only reduce your UTIs, but also to benefit your overall health. 1. Hooton, Thomas M.; et al. "Effect of Increased Daily Water Intake in Premenopausal Women With Recurrent Urinary Tract Infections." JAMA Internal Medicine. 1 October 2018. Accessed 10 October 2018. https://jamanetwork.com/journals/jamainternalmedicine/fullarticle/2705079.